Ok I know I’ve talked about this before,,,,but we are seeing more of these as problems,,,,2014 N63tu the second generation twin turbo V8 engines,,,,there is oil on top of the engine,,,,and is coming from the cheap plastic vent pipes,,,,that break or crack due to the heat from the twin turbos. Some time you don’t even see the stupid crack,,,,sometime you just see oil or yo hear a whilsting noise from the engine at idle,,,,this vent pipe can cause a lean mixture fault. 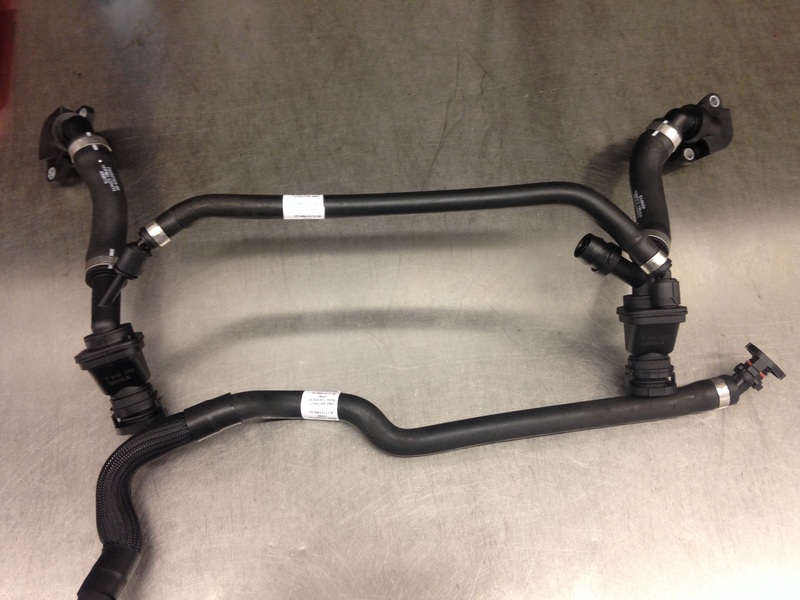 Here are the updated vent pipe,,,,they updated to new rubber hoses,,,,hopefully they last longer then the plastic ones,,,,,also they should crack like the plastic one,,,,have your dealer check these hose out next time your in for service. This entry was posted in Uncategorized and tagged N63, N63tu, vent pipe. Bookmark the permalink. Very good to see that BMW changed the part. Do you know if the part was also reworked for the 2011 V8 Engine? Sorry to say no they didn’t,,,,that’s why BMW had that customer care package to replace those for the customer,,,,,but no they didn’t change the design or the bad plastic. I already thought about that,,,,,sorry but no,,,,what happened did your crack again,,,,,they should not crack after 6 month,,,,,something must have caused it to cracked. Really scary as a current owner, it doesn’t really look so difficult to replace them,though. I have a CPO until next year but I believe CPO doesn’t cover any rubber or plastic parts. Thanks for posting! Is there anything else that should be checked, cleaned or replaced when these hoses fail? If they fail and the engine consumes a large quantity of oil thinking there might have other implications but have been told it should just “burn off”. No there nothing else to check,,,,just check the oil once you are done. Glad I could help,,,,if you are talking about the small torque bolts,,,,no I don’t know the torque spec,,,,just make them tight will be fine. My car is 2014 x5 50i, build date is April 2014. Do you think I have the updated version or the old version? It’s almost out of warranty, but can I ask the dealer to replace it even though there are no problems currently? The dealer will only replace it only if it is bad,,,,,I don’t know which vent pipes you have on your car without looking at the car. Thanka for getting me back, If I remove the engine cover, will I see those vemting pipes? Any way to avoid the failure If I drive carefully? In you opinion, How’s the reliability regarding to the late build 2014 X5 50i? I only put 8-9k miles per year on it, Is it safe to own it for another 5 years without warranty? Any common issues Like air suspension, soft door close failure etc.? Any major bills I may expecting.? Hi, have a 2011 N63 with exhaust smell over the turbo from bank 1. 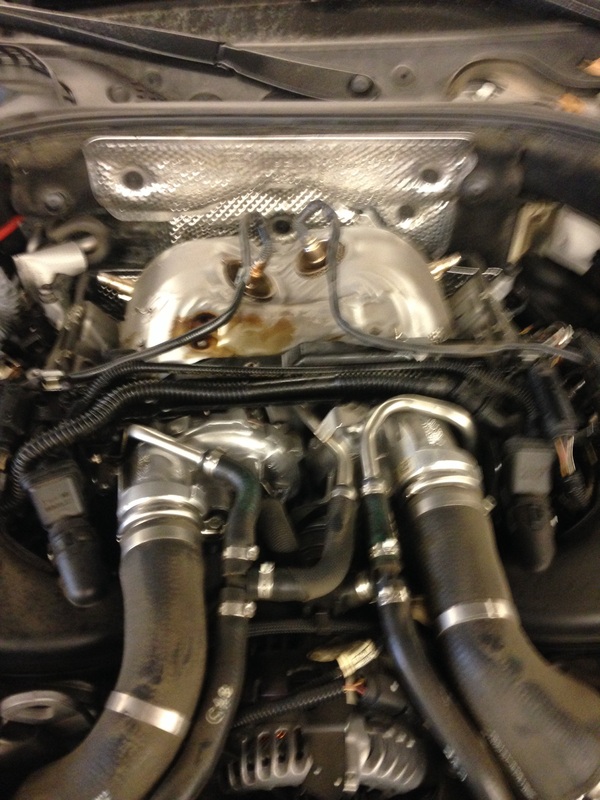 Where do you see the problem, sealings from the turbo or deeper at the exhaust manifold? 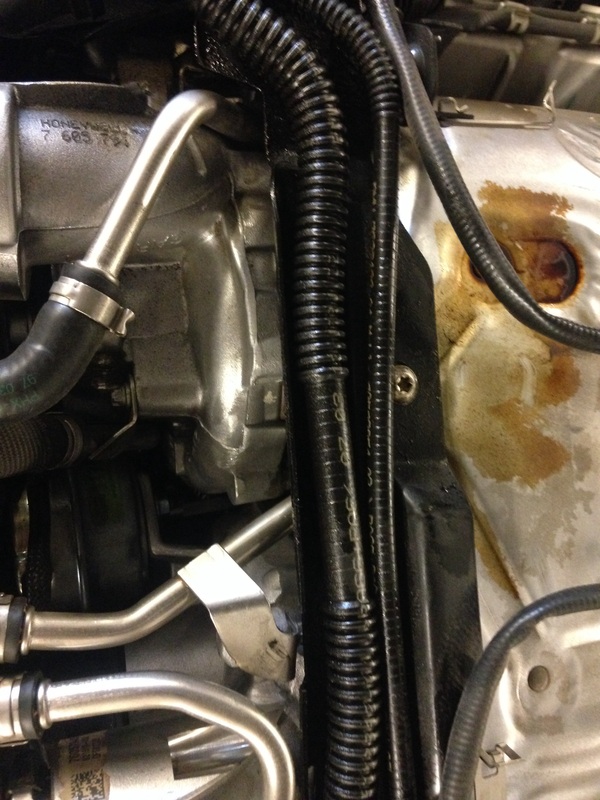 Why is there oil in the vent pipe…is this normal…can they add an oil catch can?